Execute each type of enemy that can be executed. Harvest each type of enemy that can be harvested. Enter Ninja Time 50 times. Congeal 50 enemies with bile crystals. Cause each type of elemental effect on zombies and in the environment. Complete every Mission on Hard difficulty. Complete every Mission on Nightmare difficulty. Complete every Mission on Hell difficulty. Chain 5 or more executions together. Take no damage and achieve Legend status in 10 arenas. Get 25 Legend arena scores. Get 50 Legend arena scores. Destroy an obstacle with elemental effects. Collect all of the story collectibles. 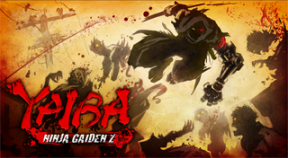 Unlock all of Yaiba's upgrades. Collect all the health shards. Collect all the elemental shards. Yaiba has a rude awakening. Yaiba survives quite the tumble. Yaiba reveals a family secret. Yaiba gets his hands dirty. Yaiba brings up a good point. Yaiba returns to the scene of the crime. Yaiba gets some fresh air. Yaiba sets aside time for traveling.